Regular Sunday worship 11.15am – 12.15pm. Please refer to our Calendar page for variations and additional events. The Gothic Revival styled church situated at Tresillian Bridge was first built as the Chapel of Ease in 1878, but has since been rebuilt and the current structure dates from 1904. The font, bells, statue of St Anthony and pulpit were all taken from the, by then, virtually abandoned church of St Cohan’s at nearby Merther that continued to be used for funerals until the mid 20th century. There is a link here to the Church of England’s website A Church Near You listing some 16,000 churches. 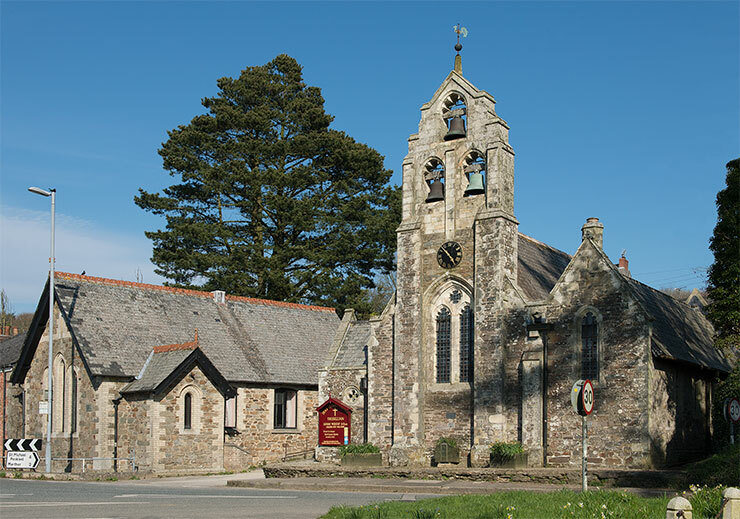 A Church Near You contains information about parish churches and the services and events that take place there, which newcomers and visitors to a particular location may find useful. You may also find information about specific facilities available to handle weddings, baptisms and funerals as well as general churchgoing. Please note that this site is currently under development. However, you can contact us using the Contact page for information regarding church services and other activities.